0.75mm thick with airholes for a cool grip. 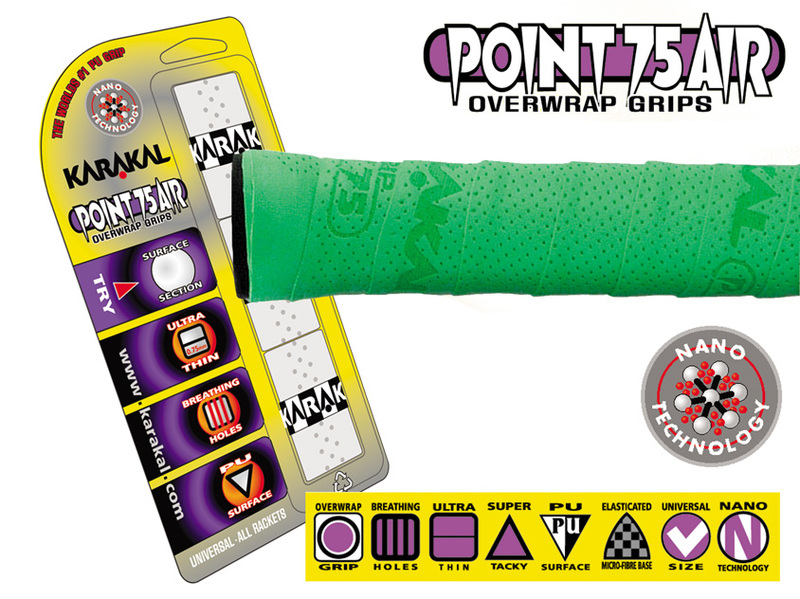 * Super Tacky Non Slip PU surface * Air holes for a cool grip * 0.75mm thick * Elasticated Microfibre base 3 OVERWRAPS PER PACK. NOTE: WE CANNOT GUARANTEE COLOR CHOICE. WE WILL SUBSTITUTE COLOR IF YOUR CHOICE IS NOT AVAILABLE. OUR PRICE: 7.99 FOR A PACK OF 3 OVERWRAPS.